This post follows and expands on my previous post, Protecting your Identity in light of the Equifax Breach. 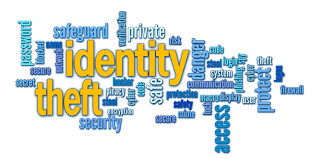 With all of the modern conveniences of the world wide web, online banking etc., identity theft is becoming way too common. I’m happy to report that I have not been a victim, nor have any of my close friends or family. But I have crossed paths with many who have. Not only does it leave you feel violated and vulnerable, you can also become a suspect. Imagine that happening! I recently heard a story from a lady who had her bank card stolen. Cheques were deposited into her account and money withdrawn. She had to prove her innocence. How’s that for adding insult to injury? A workshop participant shared her story, she had over $10,000 taken from her line of credit. It created havoc on her credit report. She eventually resolved the issue with the bank but not without a lot of time & effort on her part. It hardly seems fair. But, alas, who said life was fair? This is one of those times when it makes sense to be proactive…taking steps to prevent the issue from happening in the first place. 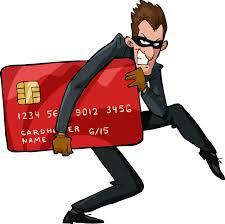 The following are 12 easy things you can do to help prevent being the victim of identity theft. Consider subscribing to an identity theft protection service. Keep personal documents in a safe. such as your social security card, birth certificate and passport. Remove yourself from promotional lists such as junk mail and pre-approved credit card lists. This added clutter doesn’t do any good, and you at risk of ID theft if a stranger gets their hands on your pre-approved cards. Protect your computer with anti-spyware and anti-virus software. Make sure you keep them up to date. Monitor your credit. Take advantage of your free credit reports and consider purchasing additional copies throughout the year for continuous monitoring. Consider placing fraud alerts and credit freezes on your account for greater protection. Shred personal documents before throwing them away. Dumpster diving is a common method of stealing personal information for the sake of identity fraud. Purchase a shredder for your home and make sure you destroy paperwork containing personal information before discarding. This includes mail, credit card statements and even receipts. Next story Dear Debt – Thank you!